Is an Australian Clothesline better? Welcome back to another Coastal Clothesline update! Are you buying an Australian clothesline? We all used to think that buying a new Australian clothesline was a once in every 10 year outlay. Think again! How times have changed with the advent of inferior quality imports leading to landfill, a hole in your pocket and an unreliable everyday amenity. Blaaaaaaah. Australian made clotheslines should have Australian people employed to make them- shock, horror. The money flow stays in Australia helping build a better economic and environmental future! The quality should be consistent with the company’s ethos- in our case “Clothesline manufacture based on minimal waste due to our patented methodology that reflects our sustainable approach.” Let’s face it, the use of plastics, nylon and powder-coated poor quality parts leads to environmental chaos. No thankyou! Australian made Coastal Clotheslines utilise quality 316 stainless steel- marine grade. We are passionate about consistent quality and smarter eco-packaging. Evolving and growing within our marketplace for our customers needs is paramount to successfully running a family business. So let’s keep up with the Jones’s! Feedback, feedback, feedback allows us to deliver on all aspects of our business. If you’ve purchased a Coastal Clothesline, chances are you will be hearing from us soon- we need to hear about your experiences, the good and not so good (hopefully not too many of the latter!). Today on the shelves of hardware stores and online poor quality clotheslines are being delivered but not delivering! The once hailed Hills Hoist of yesteryear is no longer. Sure you can still buy the new version but forget about 10 to 30 years of “hanging out”. It’s easy to get bombarded by online marketing and almost coerced into buying cheaper poor quality clotheslines. 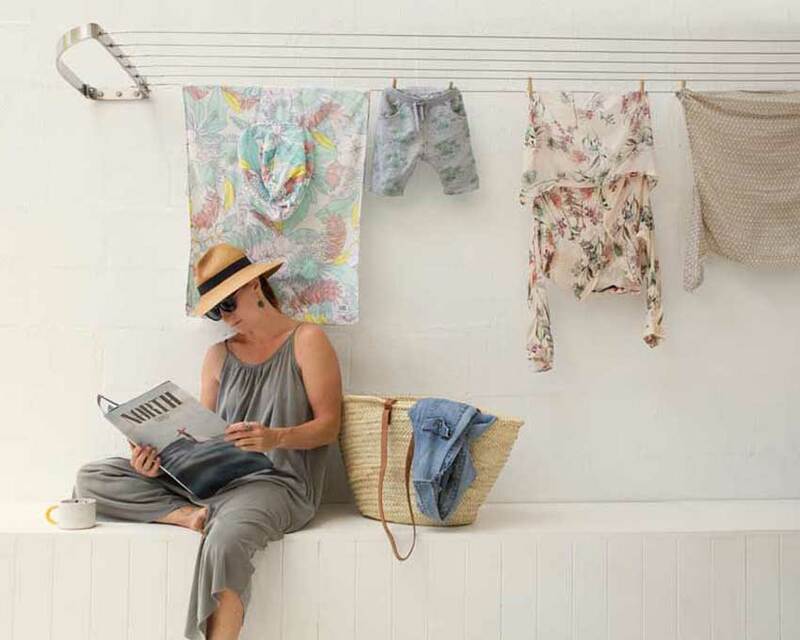 It’s time to think about your environmental footprint and your smarter choice for investing in a super durable quality Australian clothesline. Let’s “Love it for life” and have a great September Spring 2018 from all of us at Coastal Clotheslines.